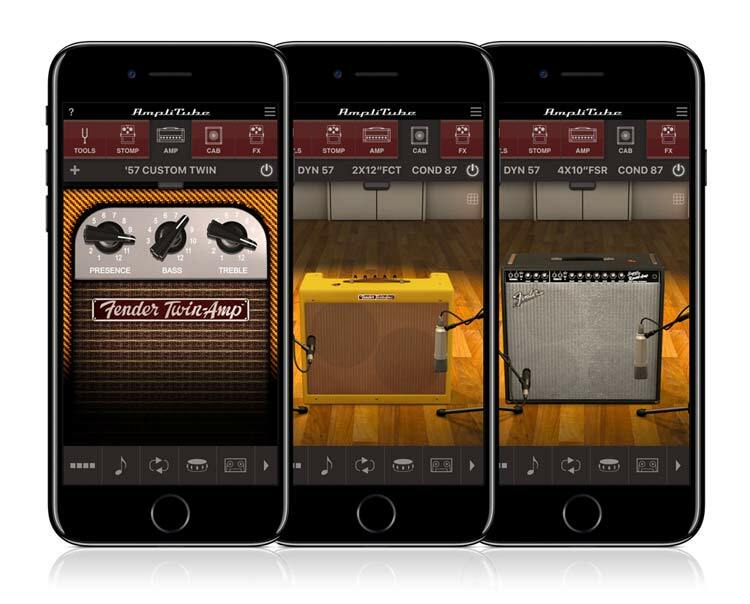 Fender® Collection 2 for iOS is the ultimate collection of original Fender amplifiers and reissues from the 1950s and 1960s. It draws inspiration from some of the most iconic Fender amplifiers, adding a modern touch to the timeless classics and re-issues that defined a multitude of genres throughout the decades. Fender Collection 2 captures the vintage vibe, feel and sound of Fender’s classic amps and puts them into your production toolbox on your iPhone or iPad. Fender Collection 2 is based on IK’s revolutionary Dynamic Interaction Modeling™ technology, which delivers a whole new level of realism, making it possible to fully replicate the behavior of EVERY component in the circuit all the way down to its quirkiest nuance and character in a non-linear and dynamic way. Fender Collection 2 enriches the professional range of amp and effect simulations currently available for AmpliTube for iOS with an incredibly powerful and versatile selection of superlative amplifier models that are the foundation for modern music today. Users can also take advantage of AmpliTube's renowned tone-tweaking capabilities to achieve unique, hyper-realistic tones. Representing a 12 year journey through the history of Fender’s legacy tube amp design, the “Tweeds” are some of Fender’s most historic and sought after amplifiers. Fender Collection 2 recreates the ’57 Custom Series Amps — reissues based upon these tweed classics adding refined, player-centric enhancements to a classic platform for the modern player. Fender Collection 2 also includes the reissue of ’57 Bandmaster™ plus the original ’53 Bassman® and ’65 Super Reverb®. These legendary amplifiers are an integral part of rock history and have earned a reputation for delivering an extremely musical tone that fits in a broad range of genres. Famous for their beautiful clean tones, they deliver natural compression, wide dynamics and a deep and rich sound that has become an all-time favorite for thousands of players. Fender Collection 2 for iOS makes the unmatched character of Fender's “Tweeds” readily available on the player's device. 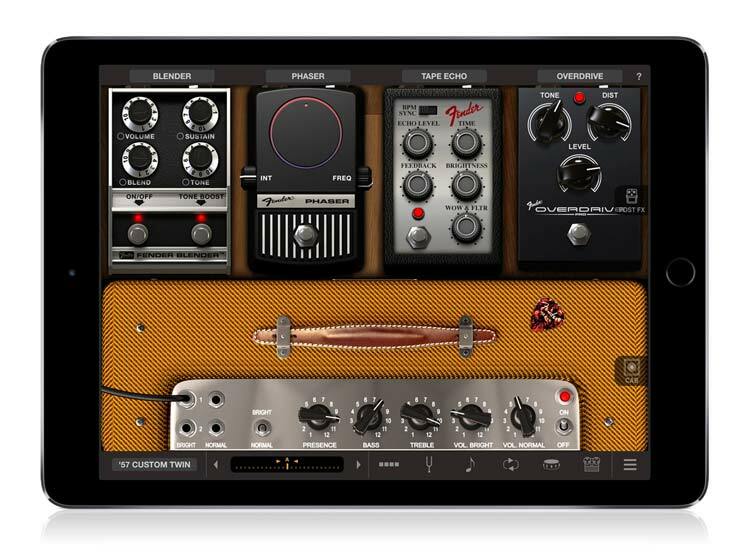 IMPORTANT: you can use iCloud to transfer all the gear models of Fender® Collection 2 to all AmpliTube for iPhone and iPad versions. AmpliTube®, iRig® areregistered trademarks property of IK Multimedia Production Srl. All other product names and images, trademarks and artists names are the property of their respective owners, which are in no way associated or affiliated with IK Multimedia. Product names are used solely for the purpose of identifying the specific products that were studied during IK Multimedia’s sound model development and for describing certain types of tones produced with IK Multimedia’s digital modeling technology. Use of these names does not imply any cooperation or endorsement. FENDER™ and all FENDER amplifiers, logos, and trade dress are the trademarks of FMIC and used herein under license. All rights reserved. iPhone®, iPod touch®, iPad® are trademarks of Apple Computer, Inc., registered in the U.S. and other countries. App Store is a service mark of Apple Inc.
Fender™, Bassman™, Twin Reverb™, Deluxe Reverb™, Super-Sonic™, Pro Junior™, Cyber-Twin™, Blender™, are trademarks or registered trademarks of Fender Musical Instruments Corporation. NEUMANN® is a registered trademark of Georg Neumann GmbH. SHURE®, SM57™ are registered trademarks of Shure Incorporated.